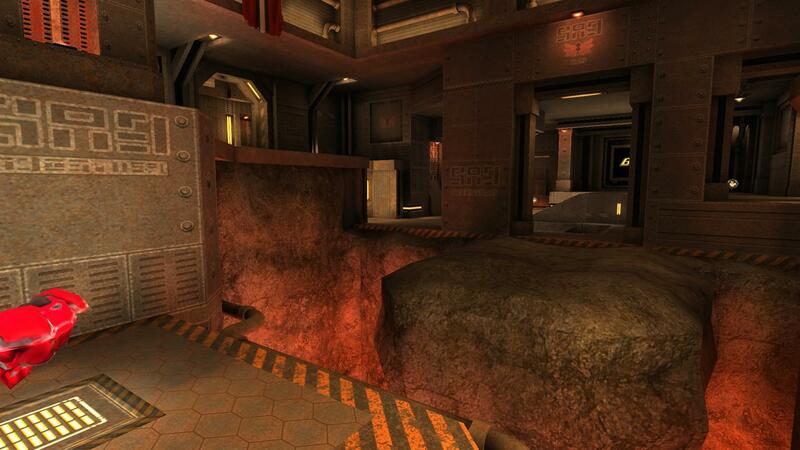 At the risk of offending Baker, another top quality 3-4 player FFA, or 2v2 TDM, Quake 3 level has been released for the NoGhost mapping competition. Any chance of a layout shot? I don't have Q3 to look around myself so all I have is screenies! I told you to get the Quake pack when it was like 3�, but no "I've already got all those games, why would I want that?" I'll ask cityy if he has one. I am offended by the very idea of this thread! Gonna get one up as soon as I can! Thanks for the positive feedback guys. I just played it a little. I love that industrial feeling and the rusty metal textures. 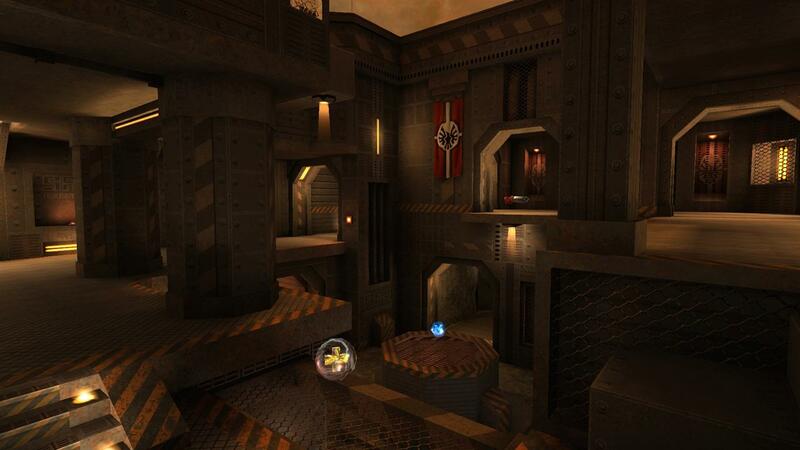 But I think a little more details could be added there, there's not enough pipes/machines/crates/etc. And more cracks in the floor, walls wouldn't hurt either, especially in an industrial map, it's too "clean" right now. Are you joking RaverX? It's full of details, almost too full imo. More would be distracting I think. Maybe I'm blind, but I don't see so many details, there's a few pipes, but that's all. I'm talking about REAL details, made with polygons, not just a lot of textures used to create the illusion of detail. 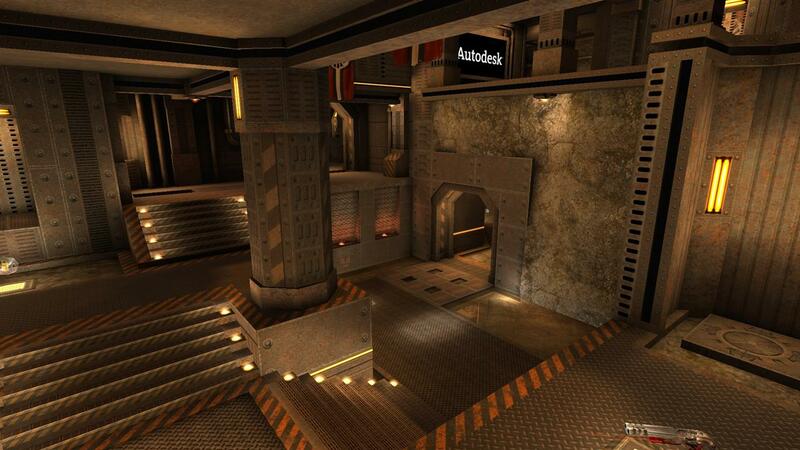 then again I hate the overcluttered look of most newer MP FPS games. 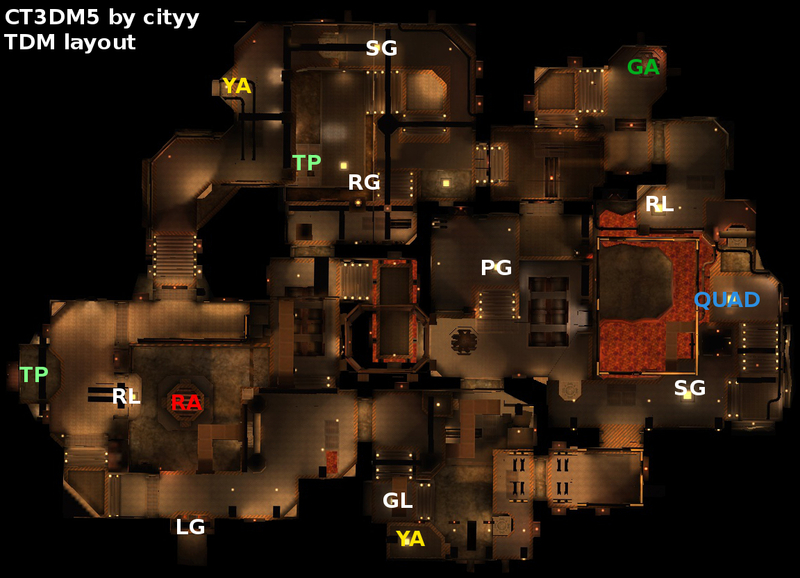 I already had a couple of "bad places" on the map - more brush detail would just have made the performance even worse. Besides that I'm comfortable with the level of detail and don't think there should be more. good use of trims and some nice directional lighting. the rockwork in shot #3 is maybe a little plain but the pipe decoration at the top is nice. Thanks for sharing your review, good read. =) I'm gonna link it on my website.